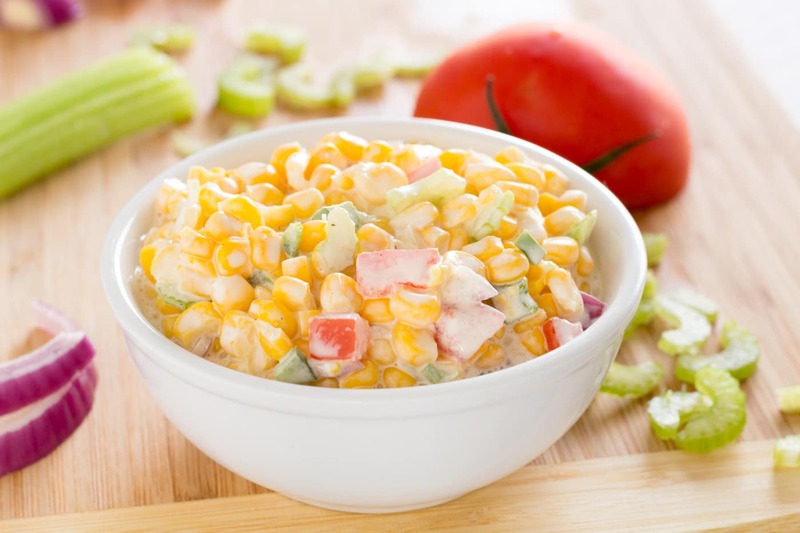 Creamy sweet corn salad is an easy to make summer side dish. 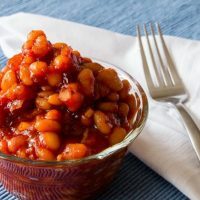 It can be made year round by substituting frozen or canned sweet corn. 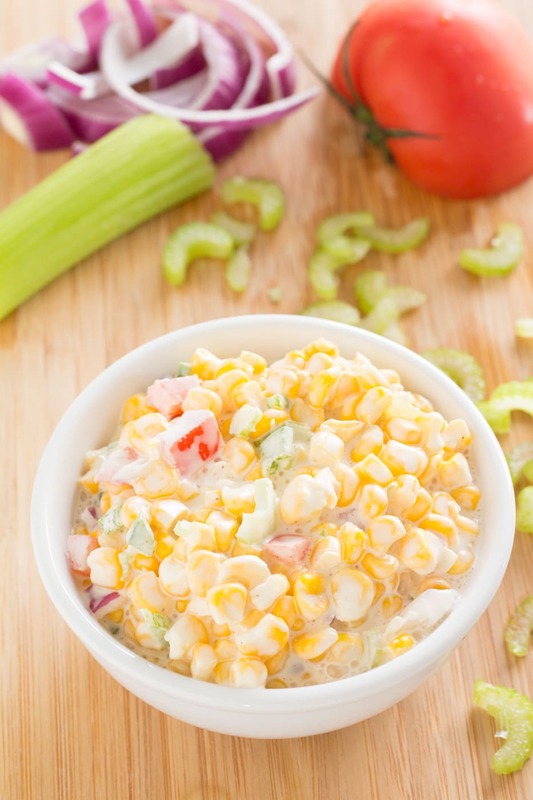 Creamy sweet corn salad is one of those deep south kind of recipes, one I had never seen prior to living in Mississippi. The idea of eating cold corn was totally foreign to me. I’ve eaten lots of corn dishes, but they were all hot. After one bite I was hooked on cold corn salad with creamy dressing! I serve it as a side now at every picnic and barbecue party we have. It’s always nice to have a dish available that most people have never seen before. Honestly, we now have quite a few cold corn converts as friends! Any kind of sweet corn! 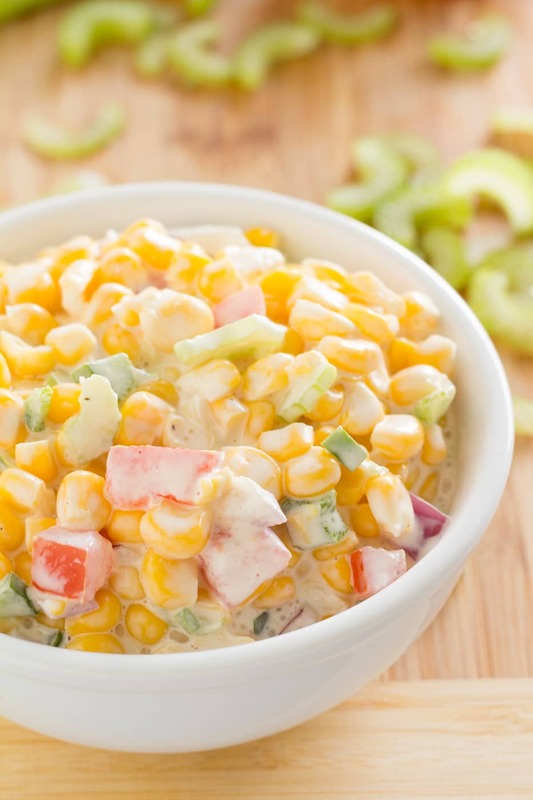 Yellow, white, and yellow-white are all perfect for corn salad. Fresh corn is preferable for this recipe during the peak of summer when corn is sweet and crisp. Winter corn that’s available in the produce section can be questionable. Sometimes it’s plump and juicy, sometimes it’s tough and just meh. To cook fresh corn for corn salad it’s best to cut it off the cob prior to cooking. Once the corn is cut off the cob it can be blanched in boiling water for 1 to 2 minutes. Crisp-tender is the goal. Cooking the corn for too long will make it tough and tasteless. If the fresh corn has been stored for a long time or is out of season I would add a few teaspoons of sugar to the water. Drain the corn and allow it to sit in the colander to drain and cool for a few minutes before adding to the salad dressing. If corn is cooked on the cob first, I tend to mangle the corn when removing it from the cob. It seems to lose the texture I am looking for. Frozen corn is my go-to when fresh corn is out of season or looks a little past it’s prime in the produce section. Frozen corn just needs to be thawed. It can also be cooked just until thawed. Usually, this will take about 60 to 90 seconds. Make sure that the corn is allowed to cool to at least room temperature before using. Frozen corn cooked in the bag may also need to be drained to remove the excess liquid. Canned corn is a last resort for me, but it can be used. The corn will have a slightly softer texture. Drain the corn in a colander and rinse well before using. Allow the corn to dry a bit. I generally use a large tomato when making a corn salad. To remove the seeds from the tomato I cut the tomato in half from the stem to the bottom. Turn the tomato onto the cut sides and slice. Now you can easily remove the seeds and pulp. I dice the tomatoes one slice at a time and place the diced tomatoes onto a paper towel to remove any excess moisture before adding them to the salad. If large tomatoes are lacking in color they are probably lacking in flavor. I use cherry or grape tomatoes then. Removing the seeds from grape tomatoes is a bit more labor intensive. I cut those little guys into quarters and remove everything from the center. It’s easier that way. Then I dice them smaller if they need to be smaller. Sometimes, the quartered pieces are small enough. Just like I do with large tomatoes, I place the diced pieces onto a paper towel to drain for a bit. One of the things I learned living in the deep south is few southern cooks use salad dressing for anything. I keep both mayonnaise and Miracle Whip in my kitchen stock now. Mississippi friends were quick to let us know we needed mayonnaise! Salad dressing, aka Miracle Whip, is a little sweet and tangy. I love it and use it for sandwiches and lots of other things like deviled eggs. I don’t use it in my southern style salads though. If using salad dressing I would eliminate the added sugar in the recipe and give the corn salad dressing a taste before adding it. You might need a bit more vinegar too to cut some of the sweetness. I prefer plain white vinegar in my corn salad. I have successfully used the last of my white wine or champagne vinegar successfully too. Apple cider vinegar could probably be used as a substitute, but I have not tried this. Apple cider vinegar is not my favorite kind of vinegar. I do use it in some recipes but I think the best use for apple cider vinegar is catching fruit flies. The vinegar can be omitted completely. The buttermilk in the recipe will add a bit of tang to the dish. Most of the corn salads I encountered in the south had more bite than that. So give the dish a taste and decide for yourself if it needs vinegar. I usually start with 1 tablespoon of vinegar and add 1 more tablespoon if I think it needs more acid. I suspect the need for more is related to the sweetness of the corn. Can creamy sweet corn salad be made ahead of time? Yes! It actually tastes better when it is made at least 8 hours ahead of time. How long will creamy corn salad keep? Because of the tomatoes in this recipe, the salad is best eaten with 4 days. After 4 days the tomatoes will start to break down. Can corn salad be frozen? 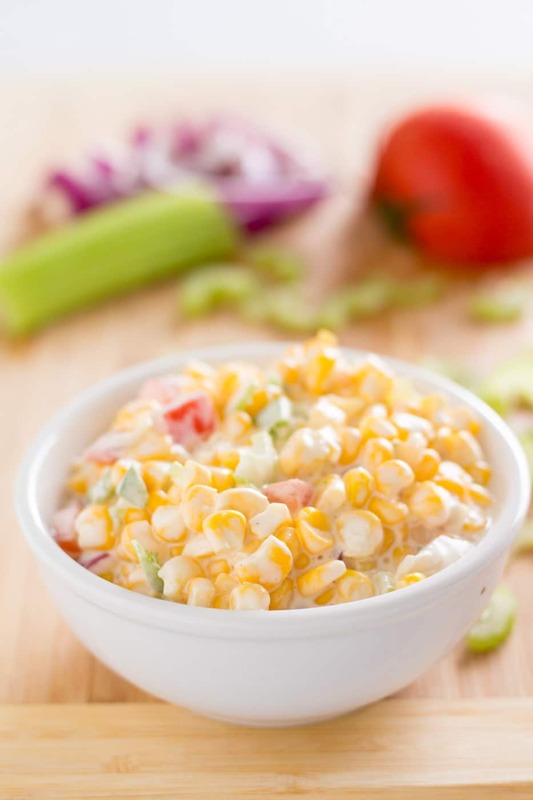 Our corn salad recipe has mayonnaise in it. Mayonnaise does not freeze well, it separates. We do not recommend freezing this salad or any other salad that contains mayonnaise. What to cook with corn salad? 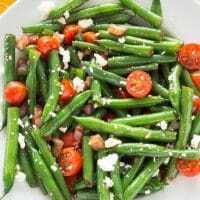 Cold green bean salad dressed with a homemade vinaigrette mixed with crumbly cheese, red onions, and cherry tomato halves. 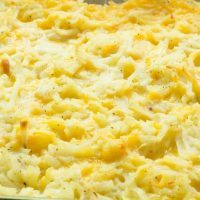 Classic Southern comfort food that pairs well with many foods. 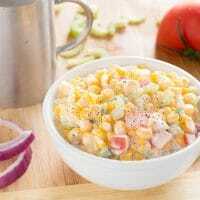 Sweet corn, tomatoes, onions, and green peppers melded together in a creamy dressing. 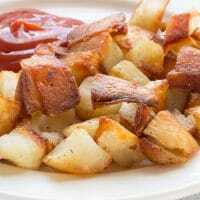 Perfect summer side dish! Combine corn, celery, green pepper, and tomatoes in a large bowl. In a separate small bowl combine remaining ingredients. Taste and add additional vinegar or sugar as desired. Pour dressing mix over the vegetables and stir to combine. Cover salad and refrigerate at least 2 hours. Store leftover cron salad covered in a refrigerator for up to 4 days. Nutritional data varies by nutritional calculator used. All data provided is an estimate. If nutritional data is critical to a specific diet, please verify all information independently. I grew up in the Midwest too and corn was almost required at every meal! Not much to see on road trips back home except corn fields. Lots and lots of kids made summer money detasseling corn! Really, we were corn fed. So it’s really kind of funny I never knew about this amazing corn dish until moving to the “Deep South”! Let me know if you like it. Beth, how did I never see creamy corn salad before?! I grew up in Ohio with two sides of our yard surrounded by corn fields. They called us “corn fed.” Not sure if it was meant to be an insult, but I love corn so much I always took pride in the term! Add to that my love for mayonnaise based salads and this salad is a dream come true! Thanks for visiting! So excited that BBQ season is almost here! 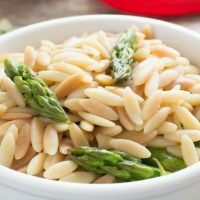 Perfect salad for a BBQ!